This year, we’ve put together a list of our favorite Fiesta® dinnerware items to give as hostess (or host!) gifts throughout the holiday season. These are all items that serve a purpose to transport and serve delicious treats or a gorgeous floral arrangement to a holiday party. Once the food has been devoured and the blooms have dried up, the recipient still has a lovely piece of Fiesta for their home. 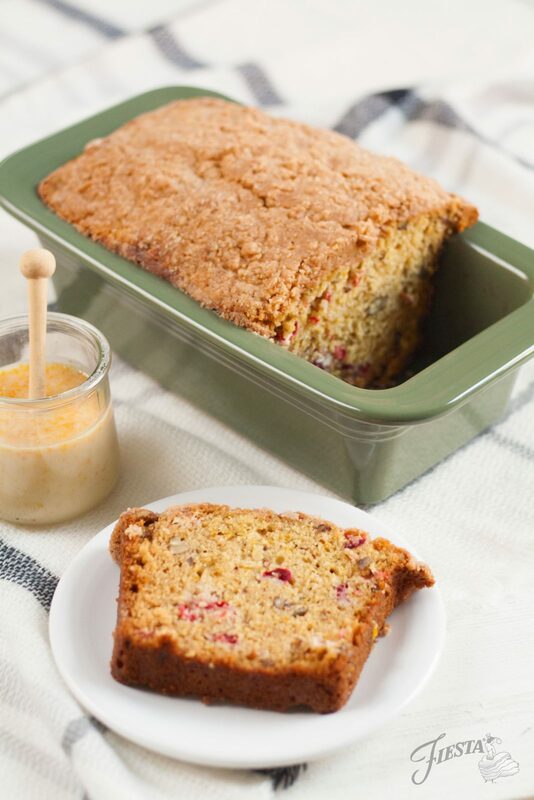 A Fiesta Loaf Pan is a sweet gesture, especially when filled with homemade Cranberry Bread. Serve as a humble holiday dessert or enjoy as a special breakfast the next morning. Giving a Heart Bowl is the perfect way to show your love for friends and family. 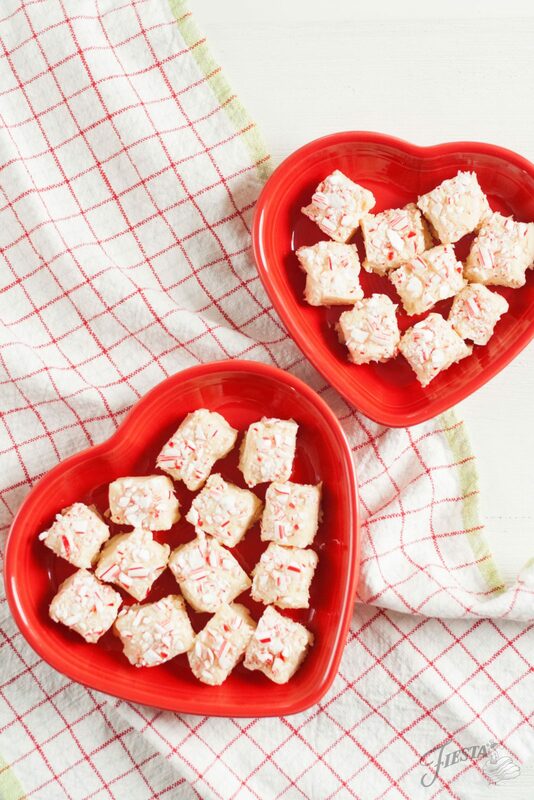 To dress it up for the holidays, fill it with this simple recipe for White Chocolate Peppermint Fudge. If your host has a flair for cooking, they will be delighted by this Utility Jam Jar filled with gourmet salts. 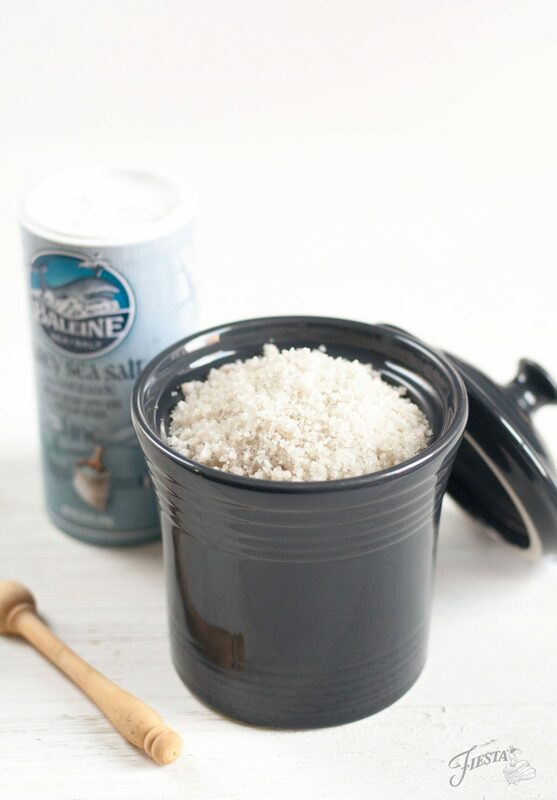 Here, we used grey Celtic Sea Salt, but other great options would be Himalayan Salt or Smoked Salt. 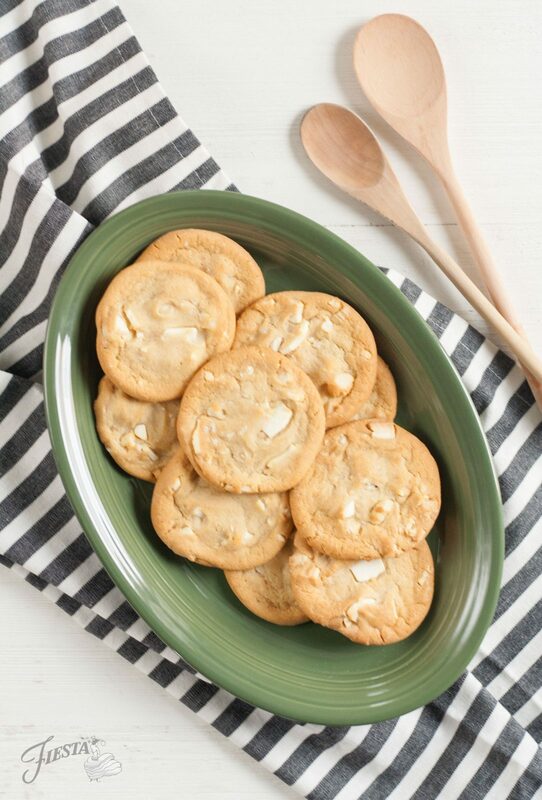 Freshly baked cookies are always a welcome treat. Pair them with your choice of Oval Platters for a gift that goes beyond the last bite. Deviled Eggs are quintessential party fare. 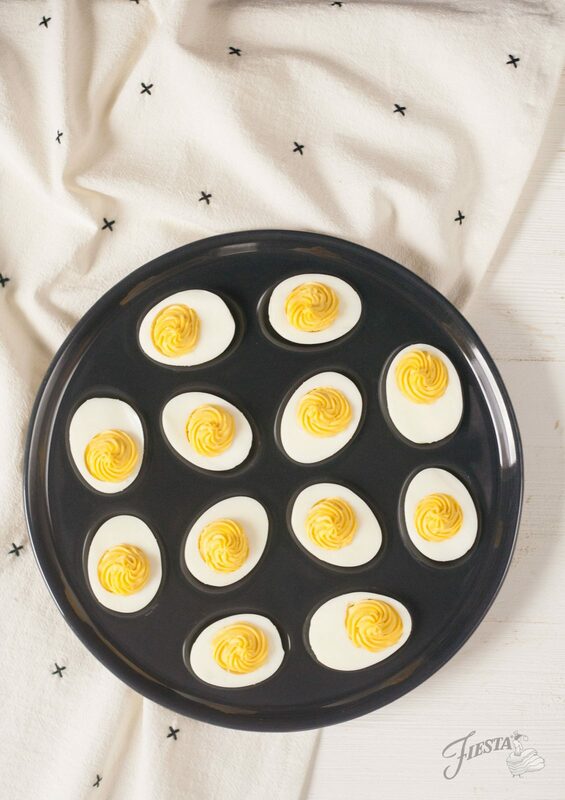 Make yours extra special by gifting this beautiful Egg Tray to the party’s host. 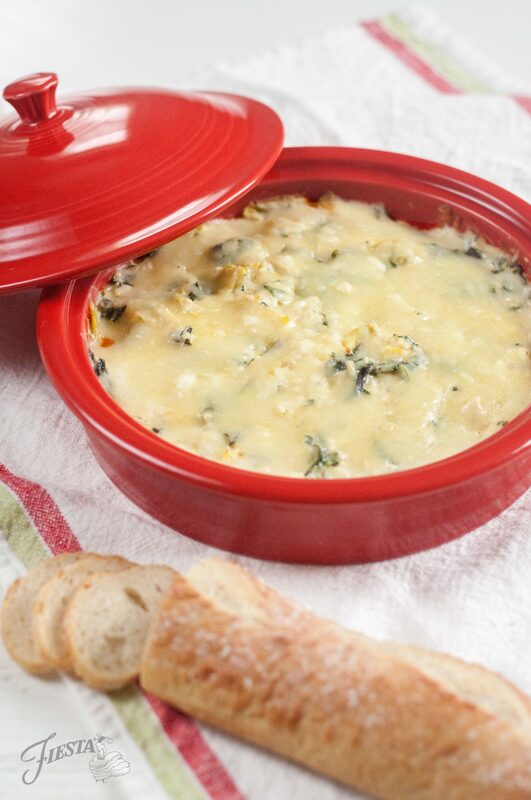 Another great appetizer option is warm, creamy Spinach Artichoke Dip. Elevate yours by bringing it in a Tortilla Warmer. The lid makes it simple to transport, plus you can easily pop it in the oven to warm your cheesy dip. 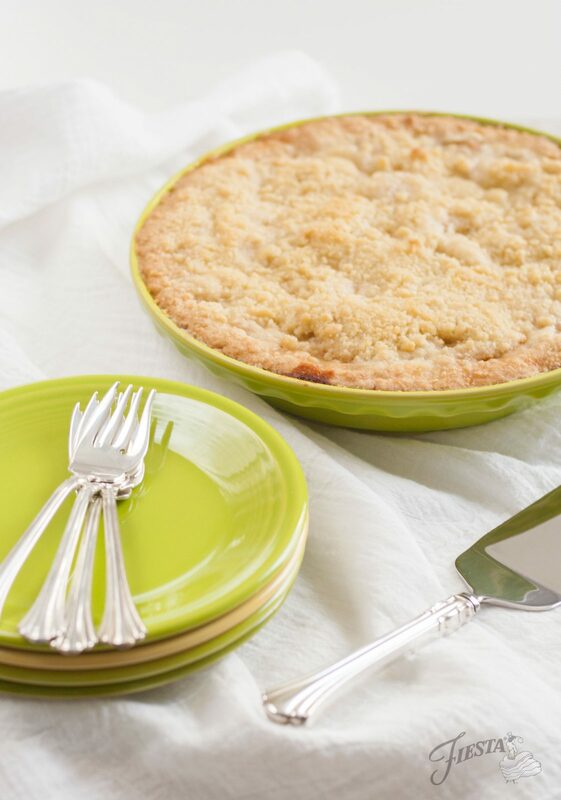 Apple Pie is a welcome addition to the dessert spread at any holiday gathering. Bring yours in our charming Deep Dish Pie Baker and leave it with your host for a thoughtful gift. 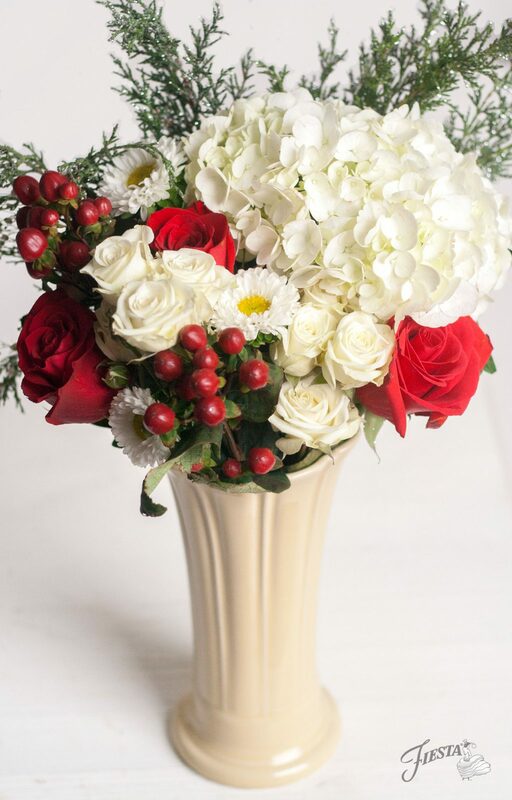 A gorgeous floral bouquet is a graceful gift to give, especially when presented in our signature Flower Vase. To make your arrangement merrier, add in sprigs of red berries and evergreen branches. While there certainly are a lot of get-togethers this time of year, these ideas needn’t be restricted to the holidays. These simple ideas can be translated into hostess gifts to give throughout the year as a thoughtful way to show your appreciation.